Though he hadn’t achieved more than a high-school education, Johnson was a well-spoken, passionate advocate whose fame even landed him an ice cream commercial. Thanks to his promotional efforts through regular newsletters (tagline: “Restoring the World to Sanity”) on topics such as “Charles Lindbergh Proved Earth Flat,” he grew the Society’s membership from a handful of believers to some 3,000 strong. Mr. Johnson, who called himself the last iconoclast, regarded scientists as witch doctors pulling off a gigantic hoax so as to replace religion with science. He based his own ideas on the Old Testament references to a flat earth and the New Testament saying that Jesus ascended into heaven. ‘’If earth were a ball spinning in space, there would be no up or down,’’ he told Newsweek magazine in 1984. His essential suggestion was that people should just look around and trust their own eyes. ‘’Reasonable, intelligent people have always recognized that the earth is flat,’’ he said. 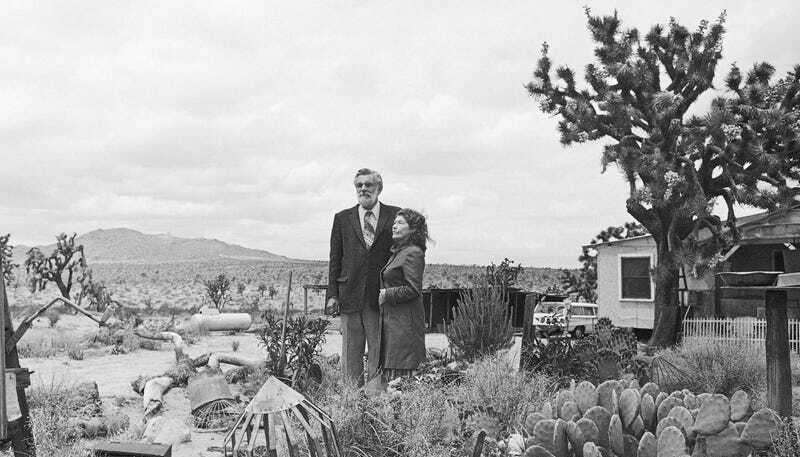 In 1995, Johnson and his wife Marjory (“who believed in a flat earth because she did not hang from her toes in her native Australia”) lost their home in a terrible fire; it destroyed all of the Society’s archives. Marjory died in 1996; when Johnson died five years later, the group had dwindled to very few members. But thanks to the internet, the Flat Earth Society lives on. Its website, which has a PDF library of Johnson’s original newsletters as well as an online forum, notes that it officially started accepting new members in October 2009. The Earth is flat, he argues, because it appears flat. The sun and moon are spherical, but much smaller than mainstream science says, and they rotate around a plane of the Earth, because they appear to do so. Inevitably, Shenton’s ­argument forces him down all kinds of logical blind alleys – the non-existence of gravity, and his argument that most space exploration, and so the moon landings, are faked. But, while many flat Earthers have problems with the idea of orbiting satellites, ­Shenton navigates the ­London streets using GPS. He was also happy to fly from the US to Britain, but says an aircraft that flew over the Antarctic ­barrier would drop from the sky, and from the planet.